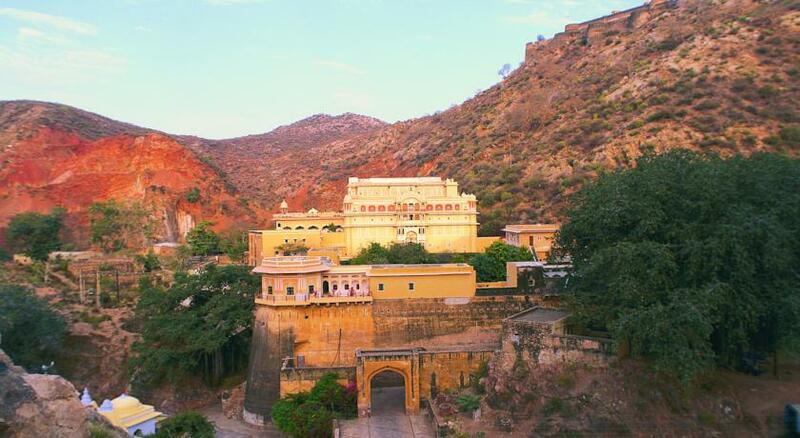 Located in the pink city of Jaipur, Rajasthan Samode Palace is usually first adobe in the beginning of many journeys. 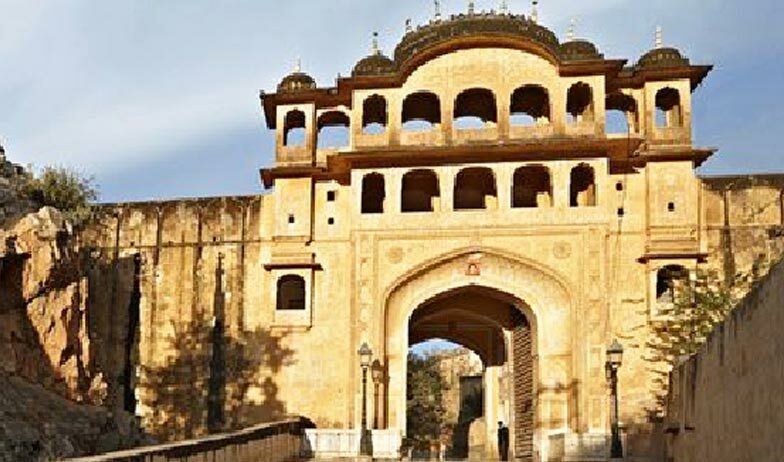 The Palace is a heritage monument, which got its foundation stone laid by the predecessor of clan that were known by the name of Maha Rawal or Maha Saheb, and ruled over the cities of Amber and Jaipur. 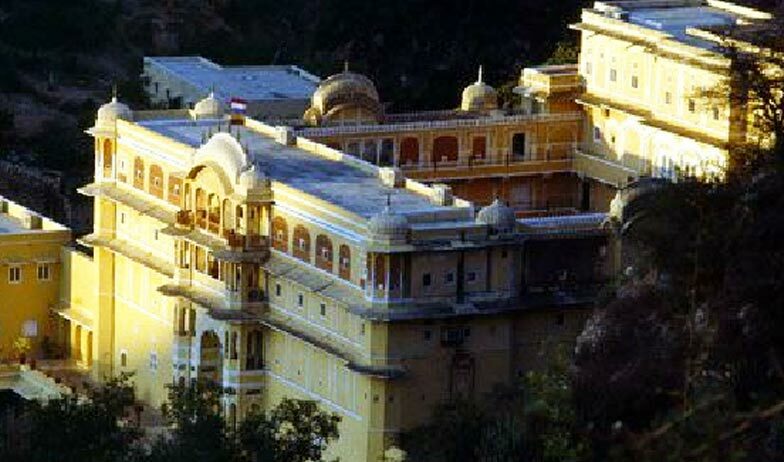 Preserving the rich culture and heritage of ancient Rajasthan, the palace is a mixture of Mughal and Rajasthani architecture. 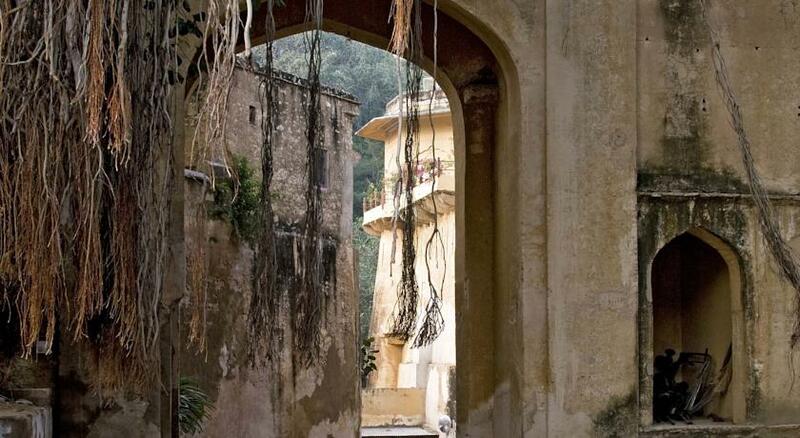 Samode Palace is a treasure chest of past, with frescoes that are more than 250 years old, extra luxurious carpets, posh oil paintings and much more. 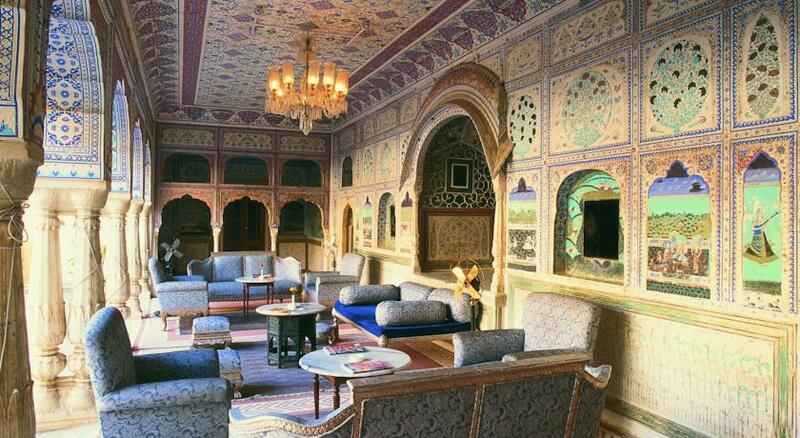 A stay at Samode Palace will surely take you to the heydays of Maharajahs. 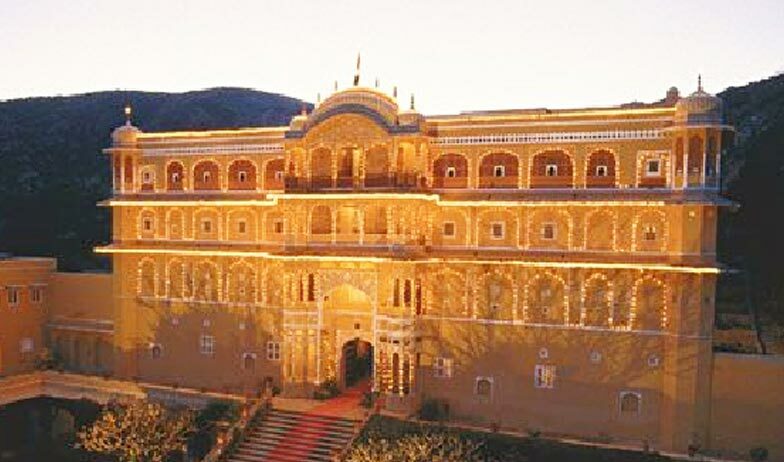 The palace has hosted many important, international and national events, in their elite banquets, and has been appreciated by brands like Vogue, The hotel book and many more. 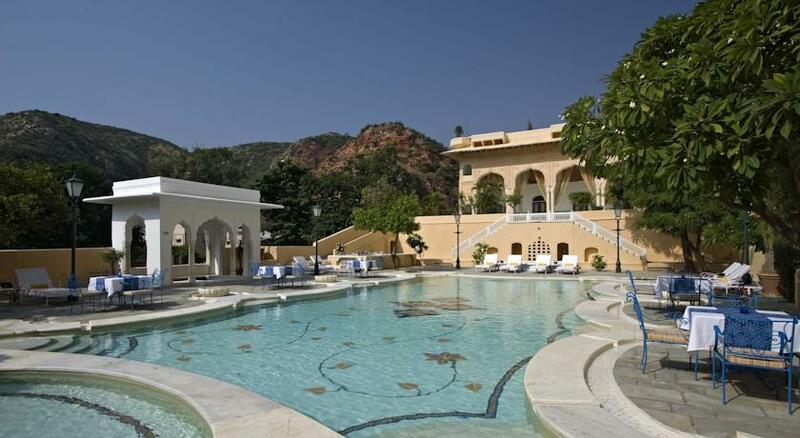 Sequestered, and stylish Samode Palace has been in the list of favorites of business owners, CEOs and CFOs, all around the world. 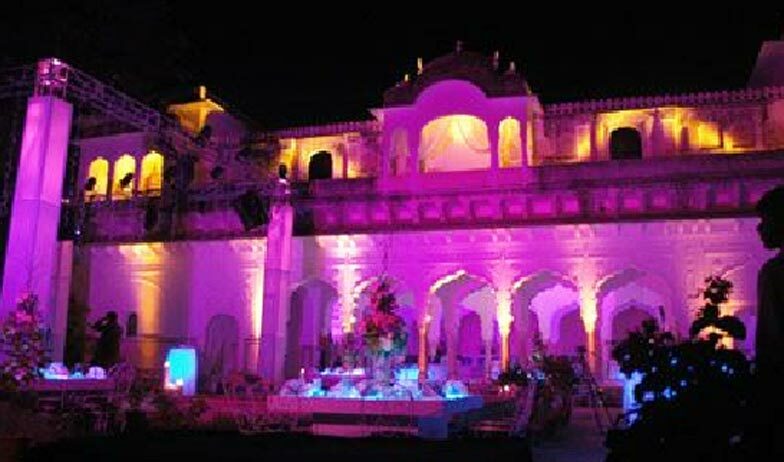 Not only the corporate events, Samode Palace is also famous for organizing royal and customized weddings. 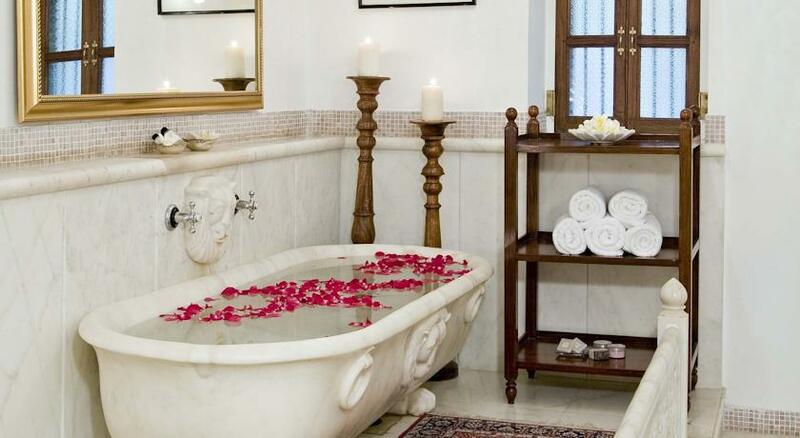 These suites are completely redefine two words: Comfort and Luxury. 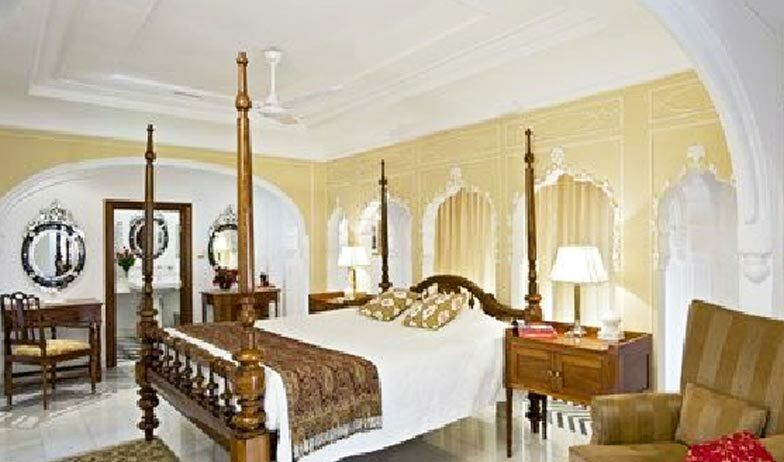 The suites are equipped with king size, four poster beds, which are elegantly draped with pure, and subtle fabric. 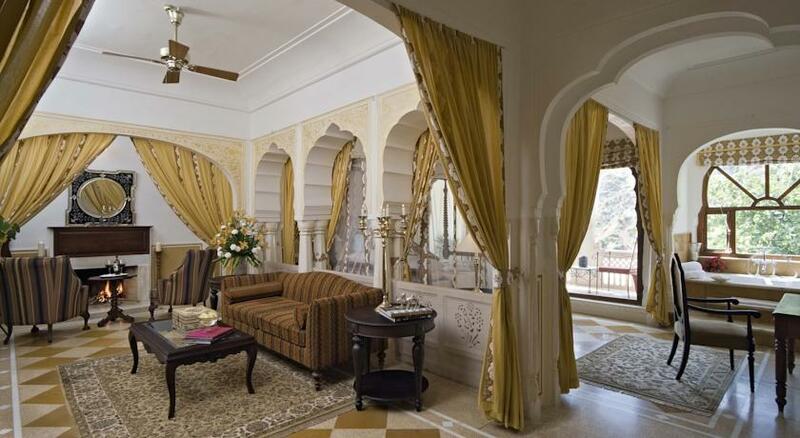 The carved couches are so designed to take give you a ride of heaven when you sit on them, and the Samode Place has got floral prints and real flowers, all around, making your stay a salubrious one. 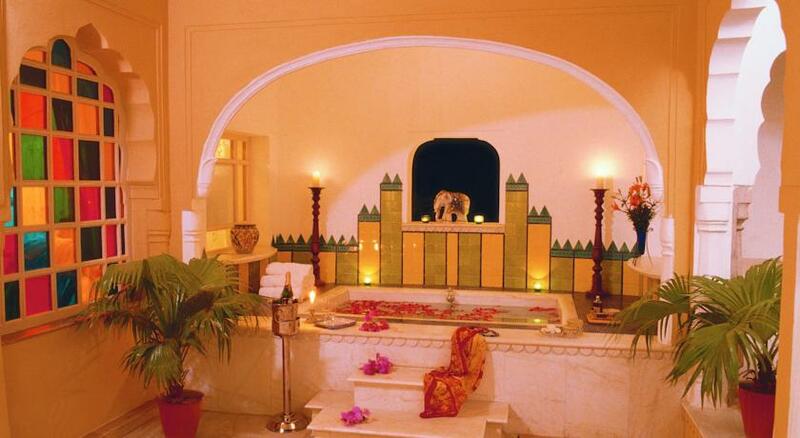 Be it your bath-tub or linen or Jacuzzi, you get to see the intricate artwork of flowers everywhere. 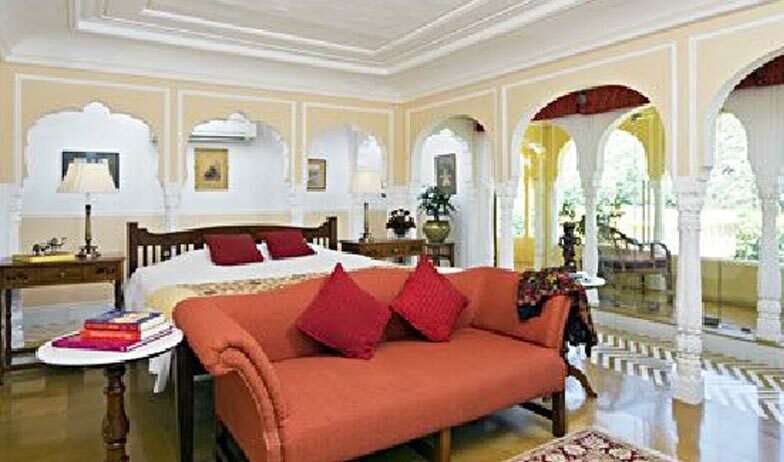 The availability of suites at times get difficult because of high demand, and they are just 4 of them. The suites are equipped with rich amenities, the basics include breakfast, Wi-Fi in certain public areas, gymnasium, swimming pool, steam and sauna, en suite with rich toiletries, tea-coffee maker, hair dryer, and electronic safe. 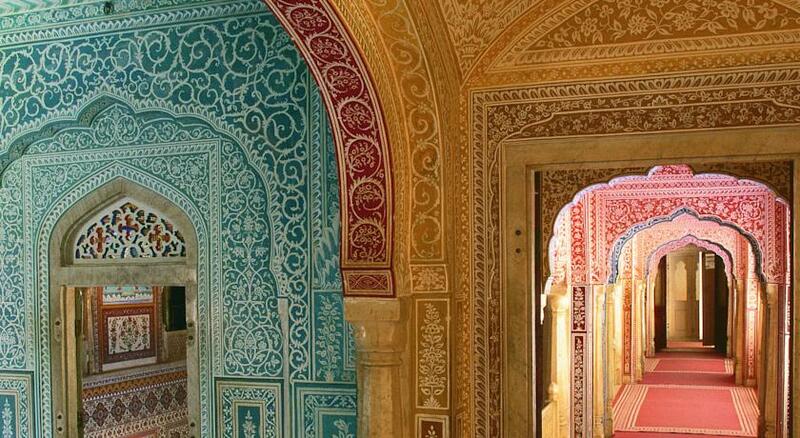 These suites are well-decorated with floral carpets, and curtains. 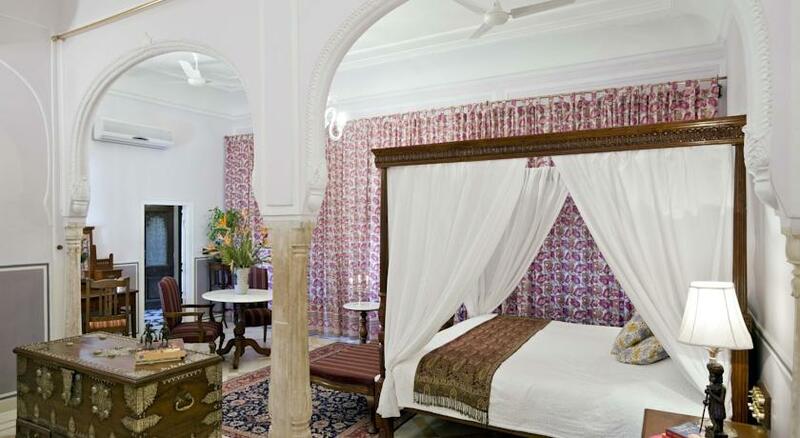 The suites’ interiors are elegantly and subtly designed under the royal Rajasthani theme. 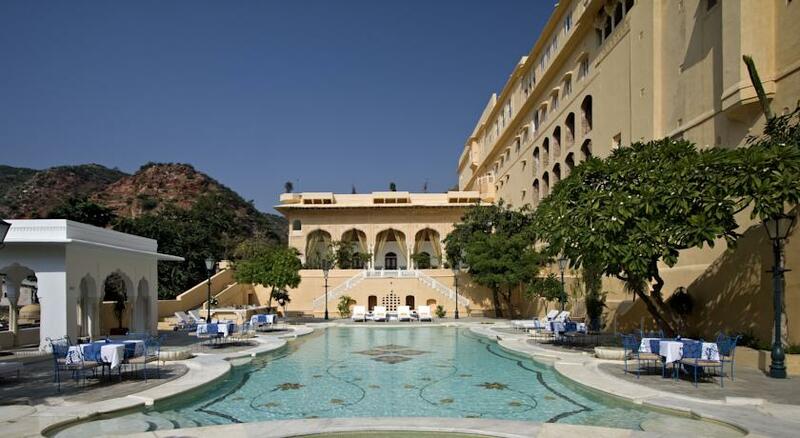 Samode Palace has been able to effortlessly get along the modern luxury, with the past. 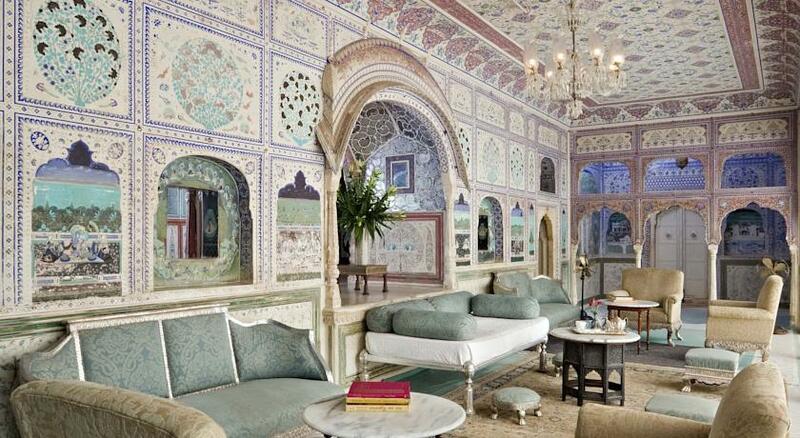 Along with modern amenities, you get to enjoy the royal paintings/photographs to royal families on hunting or wedding. 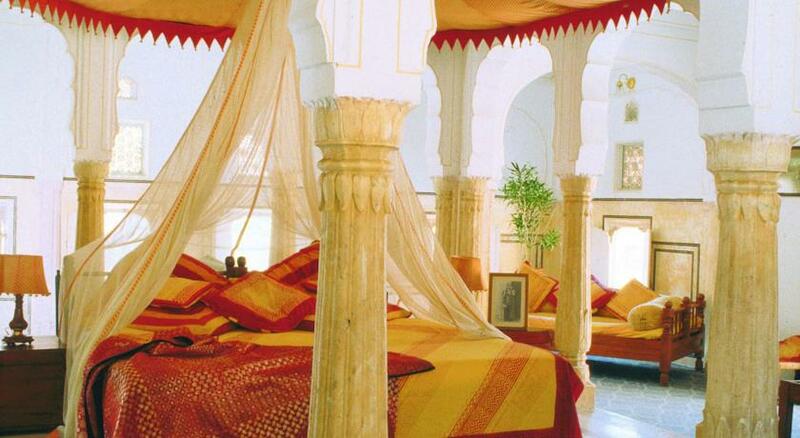 Total availability of these rooms is 20. 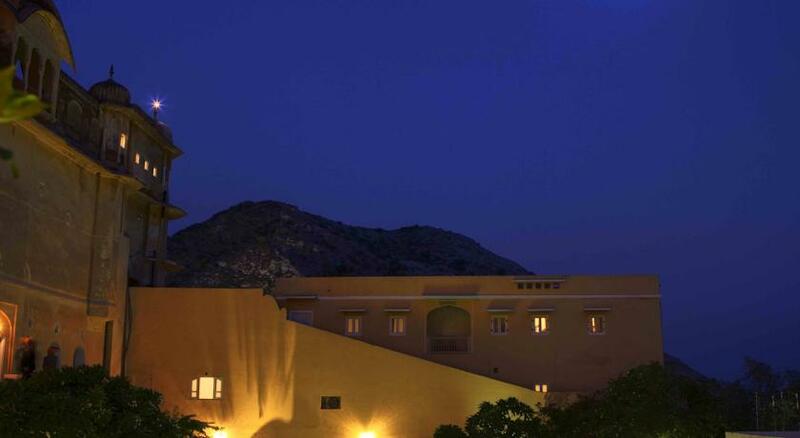 The suites are equipped with rich amenities, the basics include breakfast, Wi-Fi in certain public areas, gymnasium, swimming pool, steam and sauna, en suite with rich toiletries, tea-coffee maker, hair dryer, and electronic safe. 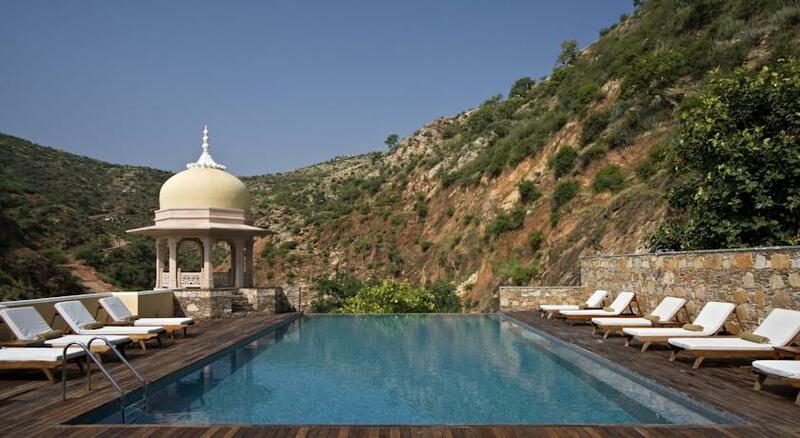 Samode Palace provides world-class services to their guests, and looks after each and every need of their guests. 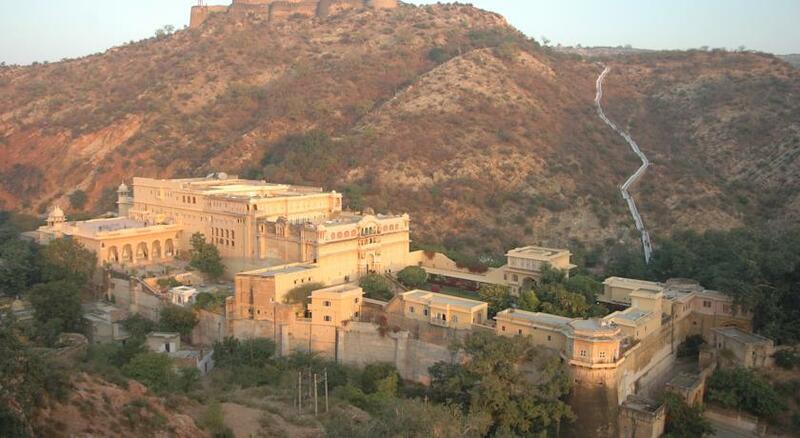 Few of these rooms have been built on the ground level, to accommodate those who find it difficult to climb stairs. 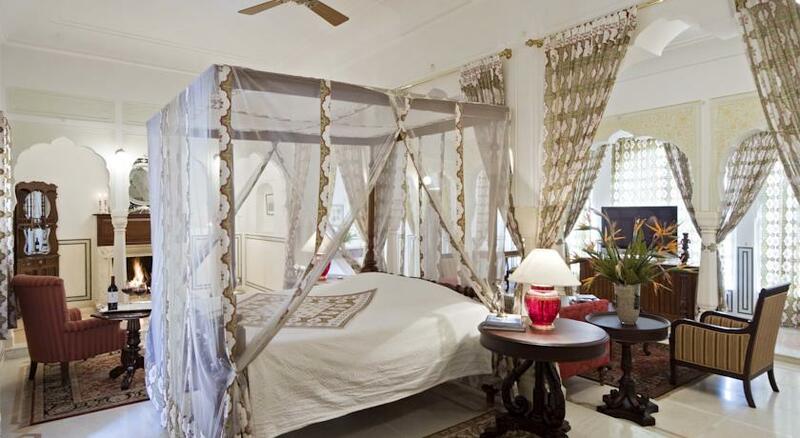 The rooms are total 19 in number, and have got guests flowing in and out without a break. 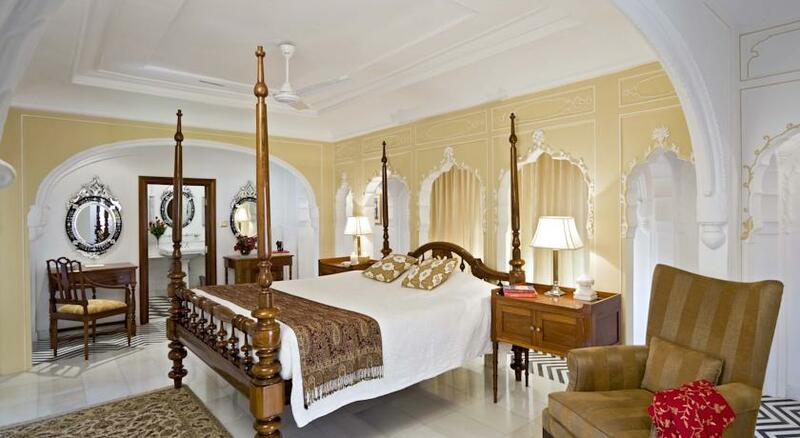 The interiors are subtly designed, and rooms are equipped with all the required and rich amenities. 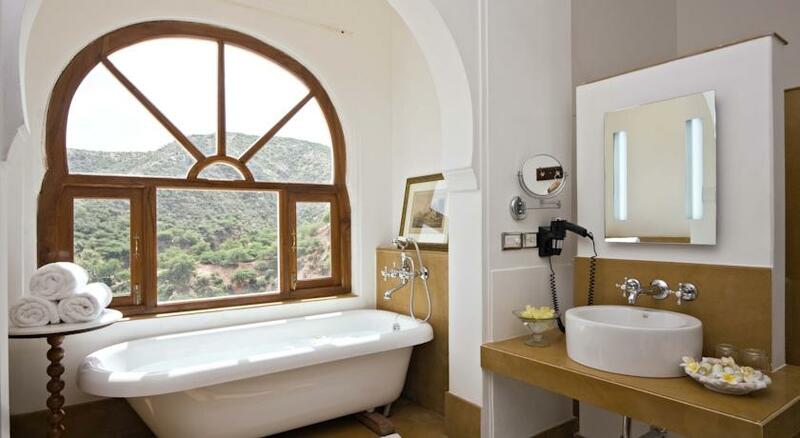 The basics include breakfast, Wi-Fi in certain public areas, gymnasium, swimming pool, steam and sauna, en suite with rich toiletries, tea-coffee maker, hair dryer, and electronic safe. 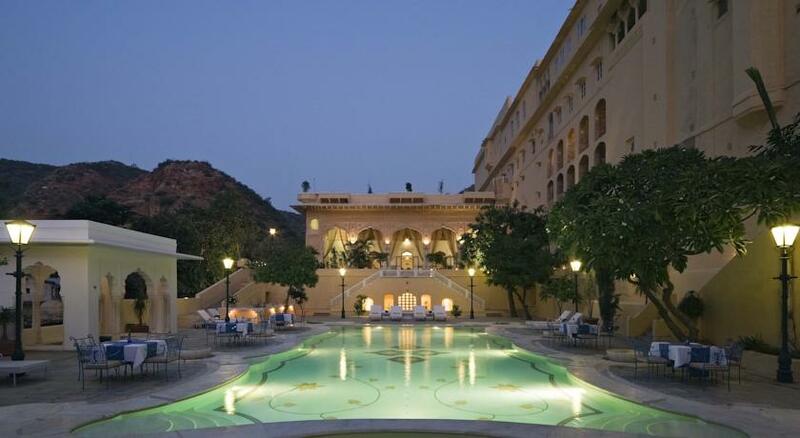 Luxury has become the part and parcel of Samode Palace’s lifestyle. 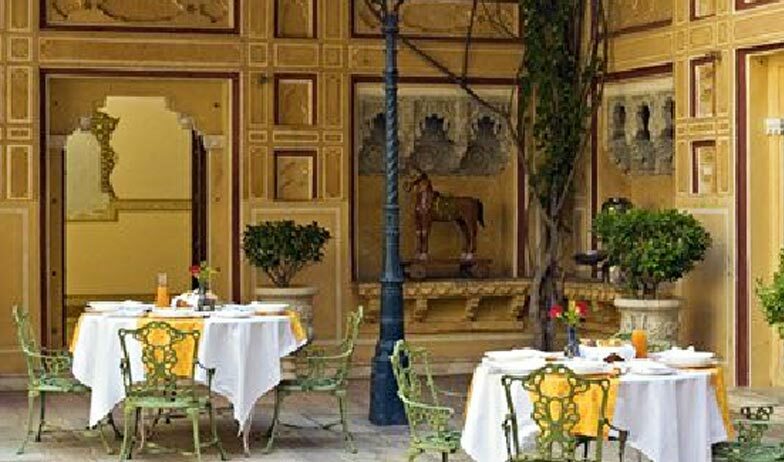 With the help of an amiable staff, morning buffet is arranged under the shadow of trees, chirping birds and in the midst of cool and calm breeze. 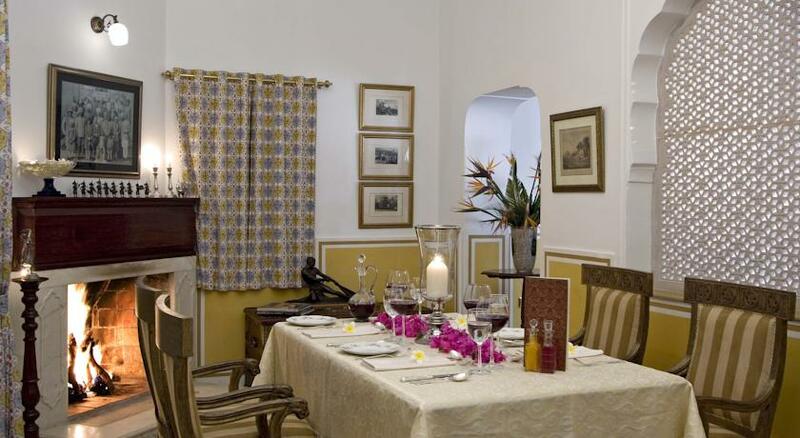 The chefs at the restaurant offer their guests a scrumptious meal in Rajasthani, Asian or European cuisine. 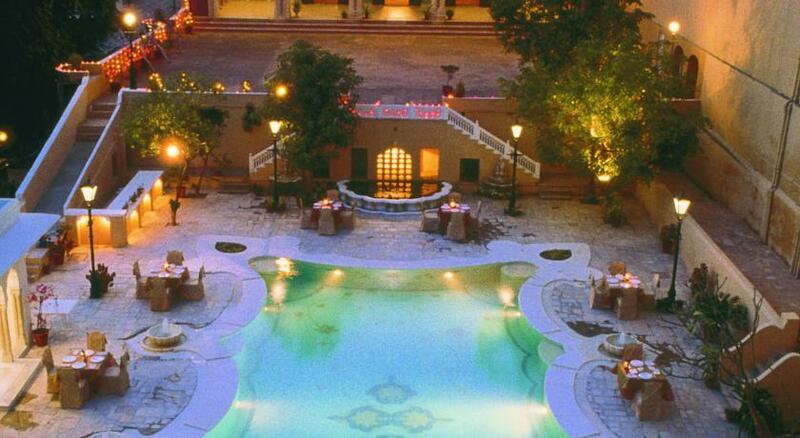 One can enjoy the romantic candle-lit dinner at the terrace garden. 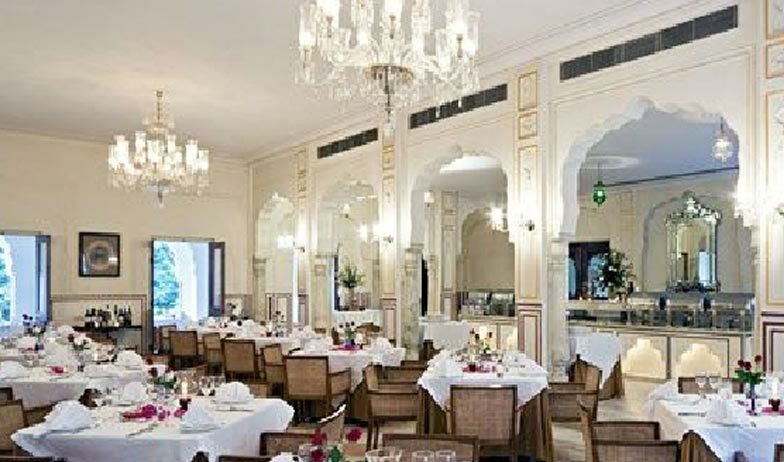 The restaurant along with food also offers its guests the options of having to experience the tough tie between murals and the gourmet a la carte. 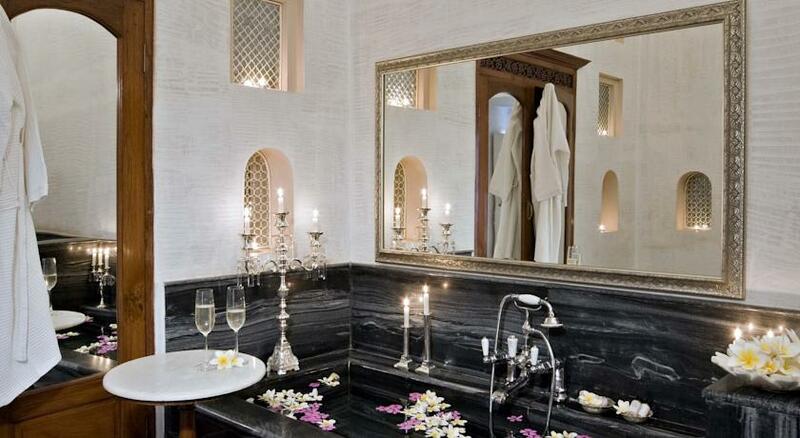 An extensive wine cellar with both international and Indian varieties is available at the restaurant. 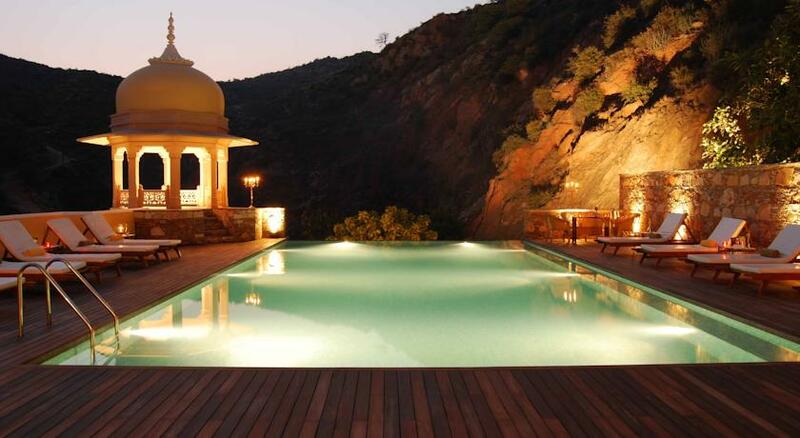 Enjoy your evening cocktails at the poolside, and live the luxury of Samode Palace with every sup you take.